In the crowded solar energy market, it’s a challenge to stand out. Baker Electric—in business for over 75 years—brings a strong family heritage and customer-centric focus to their business with what they call “The Baker Way”. They want consumers to understand that with solar energy, they can actually feel okay about using electricity around the house again, lessening the concerns associated with the typical high cost of energy and doing right by the environment. 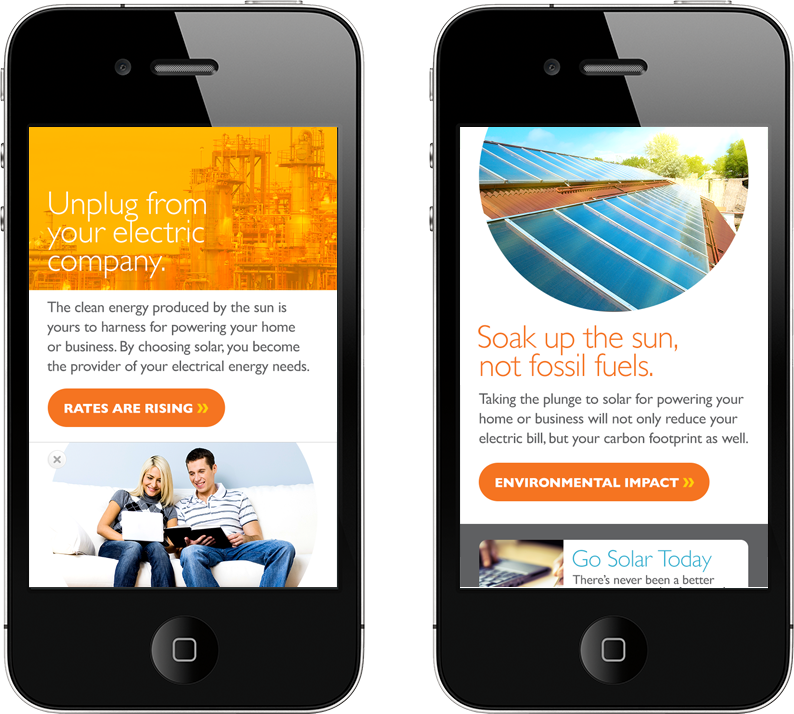 Their redesigned website features a single-page scrolling design, with adaptive resizing for mobile devices—where most consumers will typically begin their research into solar energy.